“I want U.S.A. basketball to be dominant again,” he says emphatically. “Every time people see the red, white and blue, they fear us.” Lebron said. 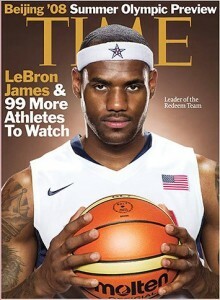 Lebron James is not only leading a team of all stars but he is also guaranteeing the gold medal. When asked about his leadership, “you’re going to be hearing LeBron on the court, yelling and screaming, talking on defense,” Wade said.